The Statler Brothers are a true country music legend, and when you get seats at the Statler Brothers Revisited show you can relive the magic of this country band on your trip to Branson! 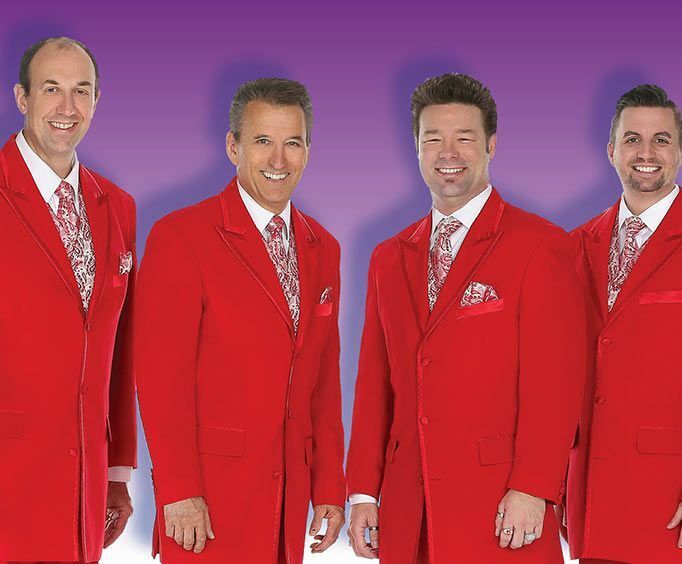 The Statler Brothers Revisited features a talented group of tribute artists who will bring you the Statler Brothers experience live on stage with their uncanny resemblance and talents that will leave you feeling like you are in the same theater with the actual group! Enjoy live renditions of some of the Statler Brothers most famous tunes, including 'Flowers on the Wall,' 'That'll Be the Day,' 'Thank You World,' 'Susan When She Tried,' 'I'll Go to My Grave Loving You,' 'Silver Medals and Sweet Memories,' 'Some I Wrote,' 'Do You Know You Are My Sunshine,' and so many more! Keeping the tradition of the gospel quartet, the performers of the show, along with their band, do a terrific job of reproducing the smooth sound that once graced the ears of music fans everywhere. Don't miss this four-part harmony that is not only pleasant but also energizing and engaging. Whether you are a music fan of yesterday's classic country hits or more modern hits of today, you will absolutely not want to miss this incredible way to walk down country music memory lane. Seats are sure to sell quickly for the Statler Brothers Revisited show, so be sure to purchase your tickets to the show today! What is included in the admission price for The Statler Brothers Revisited? Approximately how long is the The Statler Brothers Revisited? I have seen this show several times and each time i learned something new about the statler brothers quartet. It's obvious these fellows have done their homework and use their talent to share with audiences who perhaps have never seen the statlers perform. The show is relaxed, amusing and moves quickly from song to song. My favorites are atlanta blue susan when she tried and elizabeth. This group does a superb job on all the statler songs, with a great live, five-piece band. I highly recommend this show. Even the group's name keeps pace, the class of '57. We thoroughly enjoyed the show. Only comment from my wife was the leader talked too much. Show is awesome and the band does a fantastic job.